The world's favourite mobile application looks set to become even bigger with a new teaser trailer offering a tantalising insight into the upcoming Angry Birds Seasons Halloween update. Having kicked off the hugely popular and frequently updated Angry Birds Season application with a Halloween offering last year, Angry Birds developer Rovio has come full circle with the next spooky instalment previewed in a newly released teaser video. Beginning with the collection of Halloween themed levels, fans of the Angry Birds brand have been treated to a host of seasonal incarnations of the bird-flinging application over the past 12 months with Christmas, Valentines and St Patrick's Day editions being released. Doused with festive paraphernalia and jaunty themed music, Angry Birds Seasons levels went on to be expanded by Easter, Summer and most recently Chinese Moon Festival celebrations. Whilst Rovio has yet to confirm an arrival for the second round of Halloween themed app shenanigans, previous releases suggest the new levels will land sometime in the week leading up to the October 31st festivities. Teased by the newly unveiled trailer, Angry Birds Seasons Halloween looks set to bring a surprise to followers of the mega app with a new bird a possible inclusion. 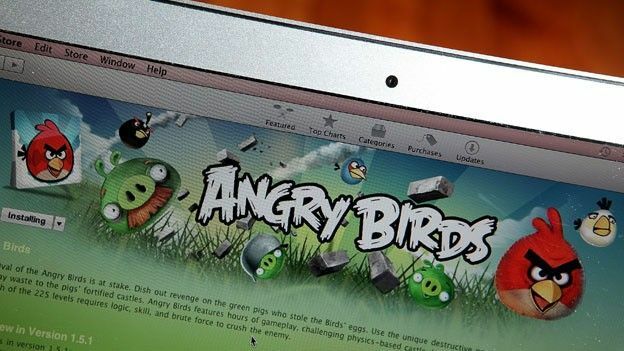 Is Angry Birds the best app based game ever made or would your vote go to something else? Let us know via the comments box below.